Parakeets will perch anywhere they feel comfortable. Parakeets, also known as budgerigars or budgies, come in a variety of beautiful colors and patterns, making them highly decorative pets. Provide your little friend with a great living space by arranging his perches, feed and water cups, cuttlebone, mineral block and toys in the best positions in his cage. 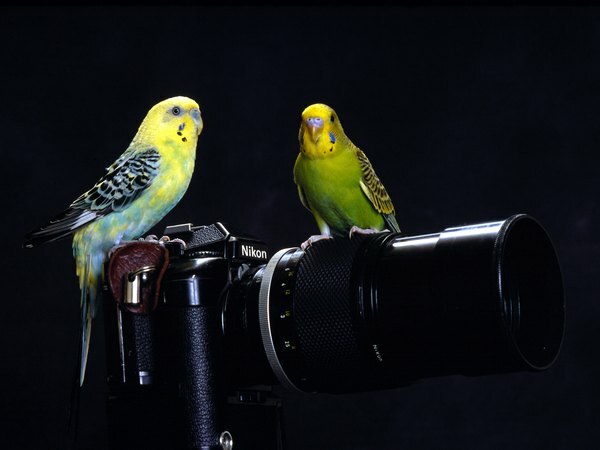 Parakeets are long distance fliers in the wild. They love to fly across their cages and spend their time at rest as high as they can, so fix at least two perches in his cage, one on each side, towards the top of the cage. Allow enough room for your bird to sit comfortably without his head touching the top of the cage. Use perches of different sizes to exercise his feet. Your parakeet will need three containers: one for seed, one for water and one for fresh fruit and vegetables. To stop these becoming contaminated by droppings, position them away from the perches. Change your bird's water and blow away empty seed husks from his containers every day, and remove any leftover fresh food within a few hours, so fix all the containers somewhere that's easily accessible to you. 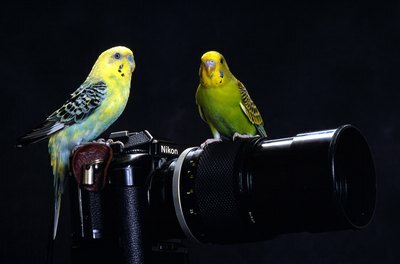 Parakeets are intelligent birds and and love to play with toys in their cage. Hang toys from the top of the cage in the space between perches. This gives your bird a variety of distances to fly. Add interest by changing the toys in his cage every week, giving him something new to play with. Toys with bells aren't suitable because they can catch in beaks, feet or feathers. Include a cuttlebone and mineral block in your parakeet's cage. He needs these to keep his beak trim and to provide essential minerals. Fix them to the side of the cage in a corner or other place where they won't get soiled with droppings. You won't need to change these frequently, so the less accessible parts of the cage for these are fine.